Those who’ve visited Disney’s Wilderness Lodge recently may have noticed that the Disney Vacation Club accommodations formerly known as The Villas at Disney’s Wilderness Lodge have assumed a new name – Boulder Ridge Villas at Disney’s Wilderness Lodge. This new name more accurately reflects the railroad theming of Disney’s Wilderness Lodge and complements the storyline of the resort. But that’s not all that’s changing at the resort. A sweeping re-imagination of the former Hidden Springs Pool area will help tell the richly layered backstory of Boulder Ridge. Depicted in the artist rendering below and scheduled to open in summer 2017, Boulder Ridge Cove will feature an expanded sun deck and zero-depth-entry pool in what appears to have been an abandoned rock quarry. Such rejuvenating transformations were common in the Pacific Northwest following the mid-20th-century fading of the Transcontinental Railroad, as locals turned rails into trails – repurposing everything from bridges and tunnels to cranes and quarries. A nearby “Boulder Ridge Railway and Mining Co.” water tower will be among the pool area’s landmark reminders of its pioneering past, while a vintage mine cart supports the mining theme with an affectionate nod to Disney history. Beyond the new pool space, scheduled enhancements to the resort are “chugging along” and include a brand-new bar & grill, in addition to a quick-service restaurant. 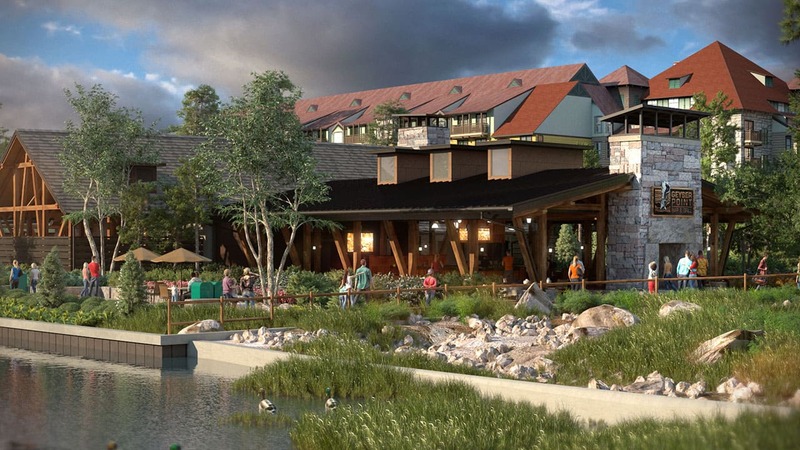 Geyser Point Bar & Grill will be located in the heart of the feature pool area of Disney’s Wilderness Lodge, where Members and guests can grab a bite to eat as they lounge by the resort’s main pool. The rendering for this area highlights ample outdoor seating and architecture that looks right at home with that of the existing Lodge, as well as Boulder Ridge Villas. Watch the Disney Parks Blog for future announcements about exciting changes and enhancements coming to these Disney Vacation Club Resorts! 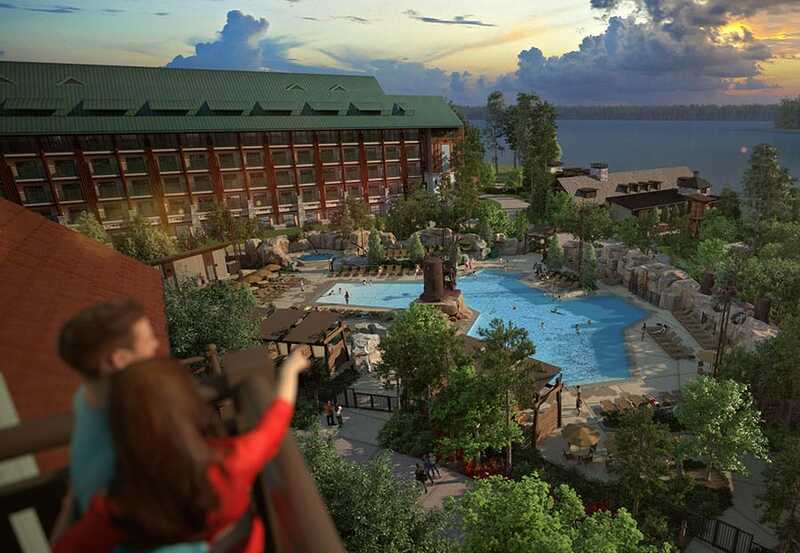 So if you are staying at Boulder Creek and the pool isn’t open yet, are you able to use the pool at Wilderness Lodge? I am not familiar with the layout and don’t know what the options are. Is there a update map that shows the locations of the new pool and refurbished villas in relation to the WLV of the past? We have a trip planned for August of this year, and will be staying at the lodge. The rendering looks amazing – I can’t wait to see the finished product in person! 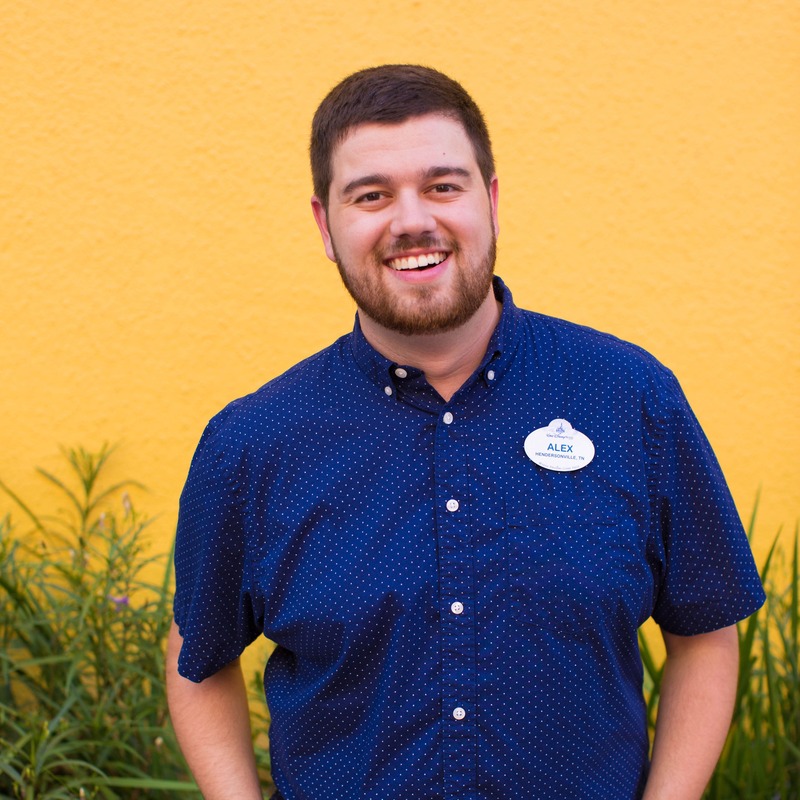 Just one question – I’ve been doing some reading about Geyser Point Bar and Grill. Will this new restaurant permanently replace Trout Pass Pool Bar? Or will Trout Pass re-open later this year and simply complement Geyser Point? The reason I ask is because Geyser Point looks to be further away from the Main Pool than Trout Pass, so ordering drinks poolside could be less convenient than before if Trout Pass were to close permanently. The entire south wing of the main Lodge is under renovation. The south wing is that whole side sitting above the guest check in desk, the Mercantile, and extending all the way down to overlooking the Trout Pass Pool Bar. In a recent members’ meeting, those in attendance were told there would be studios, 1BRs, 2BRs, and even GVs. The suggestion was made that the cabins would only be 2BRs (similar to PVB) which leads me to believe the new Copper Creek villas in the main building will contain GVs. However, no one knows for sure. As others have said, this is an entirely new resort so new owners there will have the 11-month booking advantage, while those who own at the classic VWL (I refuse to call it the new name) will only get 7-month booking there though will, obviously, retain 11-month privileges at VWL. Again, no one knows for sure when construction will end, but it would be extremely optimistic to assume any of the new rooms will be available by then. Supposedly, the new pool will be up and operating some time in the summer (technically, that could mean all the way into mid-September), and the Geyser Point eatery is going to open some time in February according to emails received by many who have reservations there starting in mid-February and beyond. However, I doubt any rooms will come open until late 2017 or likely even into 2018. Stay tuned. So Copper Creek and Boulder Ridge are two separate DVC resorts that will share all the DVC amenities at Wilderness Lodge? Since the cabins will be Copper Creek and I’m sure will demand a very high point requirement similar to Poly Bungalows – I would think they need to offer Studios, 1br and 2Br? How many Lodge rooms were converted to DVC so as to keep it fair for booking between Boulder Ridge that are Studios, 1br and 2Br? Hi everyone – thinking of booking a trip in July 2017. Does anyone know if the construction will be done by then?? Darrell, Your points are NOT affected by the new construction. Even though it is on the same property, it is a different DVC just like Boardwalk or The Grand Floridian. The pool will be busier I’m sure. If you book during your home resort time frame from 11 month to 7 months + 1 Day you should not see any difference in making reservations. I actually like that they’ve cleared a few of the trees in the villas area. This way you can see the lake and, hopefully, the reimagined pool won’t be full of leaves like it was the last time we visited. I’m excited about the changes. The brook that flows from the lobby goes to the feature pool, which is different from the new pool that replaces what we used to call the quiet pool behind the DVC building. To Darrell Meece, I believe the new DVC units under construction at Wilderness Lodge will be a new separate property called Copper Creek Villas, or something like that. And their points will be independent of Boulder Ridge so you won’t have to worry about anything changing with the point chart for your membership. The gates or fences around the pools are going in at all properties. It is due to a change in Florida law about pool safety, or so I was told be the workers putting in the fence at OKW. we’ve owned points at villas at wilderness lodge for 15 years and I’m not going to start calling it “boulder ridge” now that they want to sell more points, thanks. I always liked that the quiet pool was quiet, hopefully it will still be. Not a fan of the gate but I guess they have to do it. I’m actually a little worried that the points that they sell for the new cabins will make it harder to get the regular old villas because the cabins will be high point cost and people will probably not want to book them every year, which would put a drain on the regular villas at 7 months. RE the brook that flows from the lobby into the pool will still be there? This actually looks like the new pool area they are building and the units in the distance are still in construction. Not shown are the new bungalow units for some reason. Hopefully the brook that flows from the lobby into the pool will still be there? Our favorite home….a great place to get some peace that’s just a short boat ride away the Magic Kingdom. Looking forward to seeing the improvements next December when we take our Daughter, Spouse and grandson for a family vacation…. 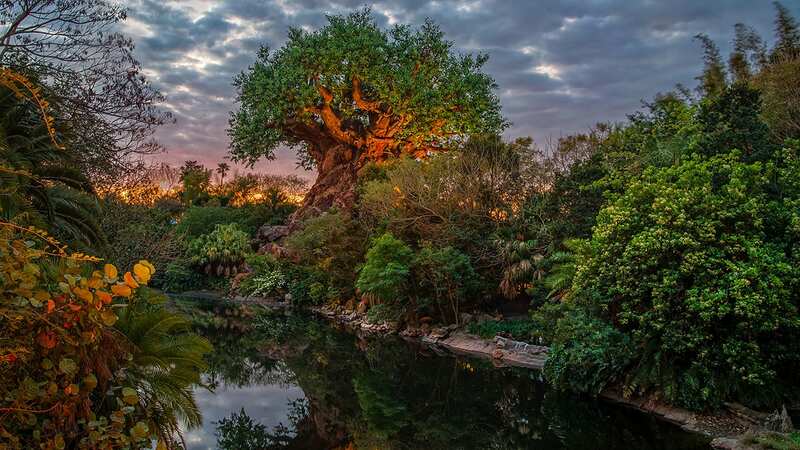 I hope the long term intent is to allow all those new trees in the concept art to grow close to as tall as the trees that were recently removed to help maintain the Wilderness atmosphere as well. Just to clarify is there a new table service and the Geyser Point Bar & Grill quick service? My home away from home! I can’t wait to be back. So glad to see it getting some love.